Background: Withania somnifera L. Dunal, (Ashwagandha) belongs to the family Solanaceae and is known as ‘Indian ginseng’ in the traditional system of medicine. Objectives: In the present investigation, comparative analysis was carried out between two different ecotypes of W. somnifera related to total soluble protein and antioxidant enzyme activity [catalase (CAT), superoxide dismutase (SOD) and guaiacol peroxidase (GPX)] to find out the expression of isozyme in response to climatic variation. Materials and Methods: Viable and healthy seeds were germinated under the optimal condition to develop the in vitro and in vivo plants. The plant materials were taken for the analysis of total soluble protein and evaluated for antioxidant enzyme activity in both ecotypes. Results: Maximum protein (15.54 mg/gm fresh weight) was quantified from the in vitro grown plants of W1 ecotype. The CAT and SOD activity was found to be the maximum in W1 plants whereas, GPX activity was more in W2 plants. Specific activity staining of isozyme pattern exhibited only one band of CAT in all types of plants. In case of SOD, four isoforms (SOD 1, SOD 2, SOD 3 and SOD 4) were observed in W1 ecotype whereas one band (SOD 1) was missing in W2. Conclusions: The supplementation of required nutrients under in vitro condition enhanced the yield of antioxidant enzymes. The geographical distribution of plants contributes to the variation in the expression of the isozyme in the same species, and that may be due to the climatic variation. Withania somnifera L. is a pharmacologically potent plant with a wide range of withanolides including withaferin-A, withasomniferin-A, withasomidienone and withanone (1). Besides that, the plant is also important for tropane alkaloids having anticancer, antiarthritic, antirheumatic and anti-depression properties. The plant has gained popularity in Ayurbedic system of medicine due to its major medicinal properties like anti-inflammatory, immune-modulating, anti-stress, vitality improver and repairment of the disorder related to nervous system (2). This medicinal plant is distributed in many states of India including the provinces of Madhya Pradesh, Uttar Pradesh, Odisha, Chhattisgarh, plains of Punjab and north western parts of India like Gujarat and Rajasthan (3). The knowledge and application of antioxidants in reducing oxidative stress in vivo has promoted many investigators to search for plant based cost-effective antioxidants from various plant sources (4). These research activities have contributed to generate public interests worldwide for herbal medicines, formulation of plant based healthy food stuffs and nutritional supplements. This creates awareness for use of natural antioxidants from herbal sources. Currently there has been an increased interest globally to identify antioxidant compounds that are pharmacologically important having low or, no side effects as a preventive medicine. Plants produce significant amounts of antioxidants to prevent the oxidative stress caused by photons and oxygen. It has been established that oxidative stress is a major causative factor for chronic and degenerative diseases. Both the exogenous and endogenous antioxidants are found to be effective in prevention of free radical formation (5). Reactive oxygen species (ROS) such as super oxide anions, hydroxyl radical, hydrogen peroxide, nitric oxide and peroxynitrite radicals play an important role in oxidative stress related to the pathogenesis of various important diseases (6). In the present investigation, the protein content was estimated in both the ecotypes of in vivo and in vitro raised plants and a comparative analysis was made for antioxidant enzymes like CAT, SOD and GPX. In the present investigation, comparative analysis was carried out between two different ecotypes of W. somnifera related to total soluble protein and antioxidant enzyme activity [catalase (CAT), superoxide dismutase (SOD) and guaiacol peroxidase (GPX)] to find out the expression of isozyme in response to climatic variation. The seeds of W. somnifera used in the entire study were collected from two different locations [Medicinal plant garden, Ghatikia, Bhubaneswar, Odisha (W1); Medicinal plant garden of Bhatapada, Chhattisgarh (W2)]. The seeds were collected during the month of November to January. The entire seed germination process for both in vivo and in vitro conditions were carried out at Post Graduate Department of Botany, Utkal University, Bhubaneswar, Odisha. After two months of growth, the healthy plants were taken for the estimation of total soluble protein and screening of antioxidant enzymes. The seeds of both ecotypes (W1 & W2) were properly dried and shown on the pot containing an equal amount of thoroughly mixed soil, sand and vermicompost in the ratio of (1:1:1) with sprinkling of requisite quantity of water. The seeds were thoroughly washed with running tap water for 30 min followed by washing with 5% teepol (v/v) for 10 min for complete removal of the detergent. The pre-conditioned seeds were washed 3-4 times with distilled water before transferred to laminar-air-flow and surface sterilized by 0.1 % HgCl2 for 5 min followed by thorough and repeated washing with distilled water. The decontaminated seeds were inoculated on the culture flasks containing half strength MS (7) media devoid of plant growth regulators for germination. In vivo and in vitro healthy grown two months old plants were selected for estimation of total soluble protein and enzyme activity. The whole plant samples (3:1 buffer volume: fresh weight) were homogenized in pre-chilled mortar and pestle with 50 mM potassium phosphate buffer (pH 7.8), 50 mM ethylenediamine-tetraacetic acid (EDTA), 2 mM phenylmethylsulfonyl fluoride (PMSF) and 10 % (w/v) insoluble polyvinylpyrrolidone (PVP). The homogenate were centrifuged at 14000 rpm for 20 min at -4º C and the supernatants were processed for estimation of protein and antioxidant enzymes. Quantitative estimation of protein was done according to the method of Lowry et al. (8) by measuring absorbance at 750 nm, using bovine serum albumin as a standard and expressed as mg.gm -1 fresh weight tissues (f.w.). CAT activity was measured in a reaction mixture (3 ml) containing 100 mM sodium phosphate buffer pH 6.8 (2 ml), 30 mM H2O2 (0.5 ml) and 0.5 ml enzyme extract according to the protocol of Aebi et al. (9). The decrease in absorbance due to hydrogen peroxide depletion was recorded at 240 nm by Hitachi model 200-20 UV-VIS spectrophotometer. Catalase activity was calculated by using the extinction coefficient of 40 M.cm -1 for H2O2 at 240 nm and was expressed as nKat moles of H2O2 decompose per second.ml -1 of enzyme protein. After native polyacrylamide gel electrophoresis the gel was stained by the procedure of Woodbury et al. (10). The electrophoresed samples in the gel was incubated in 0.01% H2O2 (v/v) for 10 min and subsequently developed in 2% FeCl3 and 2% K3FeCN6 solution for 10 min. The principle involves the reaction of H2O2 with potassium ferricyanide (III) by reducing it to ferrocyanide (II). The peroxide is oxidized to molecular O2. FeCl3 reacts with ferrocyanide (II) to form stable, insoluble Prussian blue pigment. Catalase signalled its location by scavenging H2O2 causing transparent bands on the gel. The activity of SOD was assayed according to the procedure of Das et al. (11). The reaction mixture was prepared by mixing 1.110 ml of 50 mM phosphate buffer (pH 7.4), 0.075 ml of 20 mM L-methionine, 0.040 ml of 1% (v/v) Triton X-100, 0.075 ml of 10 mM hydroxylamine hydrochloride and 0.1 ml of 50 µM EDTA. To this mixture 100 µl of enzyme extract (50 µg protein) and 80 µl of riboflavin (50 µM) were added. The cocktail was mixed and illuminated for 10 min in an aluminium foil coated wooden box containing two 20 W-Philips fluorescent lamps fitted parallel to each other. Equal amount of buffer was added to the control tube instead of sample. The sample and its respective control were run together. After 10 min exposure, 1 mL of Greiss reagent (prepared freshly by mixing equal volume of 1% sulphanilamide in 5% phosphoric acid and 0.1% N-1-napthyl ethylene diamine) was added into each tube and immediately the absorbance was measured at 543 nm. The activity was calculated as nKat.mg -1 of protein. The specific activity staining of SOD was performed as per the classical method of Beauchamp and Fridovich et al. (12). The gel was completely submerged in freshly prepared staining buffer containing 50 mM phosphate buffer, 0.1 ml EDTA, 28 mM TEMED, 0.003 mM riboflavin and 0.25 mM nitroblue tetrazolium for 30 min in dark condition. Thereafter the gel was placed on a illuminated glass plate until the bands become visible. Peroxidase activity was measured in a reaction mixture (3 ml) containing 100 mM potassium phosphate buffer pH 7.0 (2.8 ml), 10 mM H2O2 (50 µl), 0.018M guaiacol (50 µl) and 100µl enzyme extract, according to the method of Bergmeyer et al. (13). The increase in absorbance due to formation of tetra guaiacol was recorded at 436 nm. GPX activity was calculated by using the extinction coefficient of 26.6 M-1 cm-1 for H2O2 at 436 nm and was expressed as nKat.mg -1 of protein. The 10 % gel was stained by the procedure of Hamill and Brewbaker (14). Gel was immersed in 0.018 M guaiacol for 30 min at room temperature rinsed twice in double distilled water and immersed in 0.015 % of H2O2 in 1 % glacial acetic acid till the development of dark brown bands. The percentage of seed germination and antioxidant enzyme activities were the mean of independent experimental replicates (n = 5). Means and standard errors were calculated for each treatment. In the present study, a comparative analysis of seed germination under both in vitro and in vivo condition were done by taking two ecotypes (W1 and W2) of seeds and found that the rate of germination was different after two weeks of inoculation in both conditions. The seeds of local/ Odisha ecotype (W1) were found to be more viable than Chhattisgarh (W2) ecotype (Table 1). In vitro processed seed germination was more in comparison to in vivo in both the ecotypes. Further, it was observed that the percentage of seed germination under in vitro is more in W1-78% and 65% -W2 than in vivo and overall germination in in vitro (78%) and in vivo (66%) condition is better than the Chhattisgarh ecotype (Table 1). This reason might be due to change in climate or topography which is very essential for the plant life. Maximum protein was reported in the plant in vitro condition from both the ecotypes. Slight variations in the protein content were noticed in W1 and W2 ecotype of in vitro grown plants i.e. 15.54 ± 0.07, 14.65 ± 0.06, respectively (Table 1). In case of in vivo analysis similar pattern of data with W1 (10.59 ± 0.05) and W2 (7.91 ± 0.01) were obtained for both the ecotype. The data represents mean ± SE of replicates (n = 5). The antioxidant activities of W. somnifera were analyzed in the in vitro and in vivo grown plant samples of both the W1 and W2 ecotypes. The only difference between these two ecotypes was the origin of sources, one (W1) is collected from local region (Bhubaneswar, Odisha) and another (W2) from Bhatapada, Chhattisgarh. In this study, the antioxidant enzymes, CAT, SOD and GPX were assayed spectrophotometrically and electrophoresed to study the isoenzyme pattern by characteristic staining of the gel. In W1 and W2 ecotype CAT and GPX activity were found to be the maximum in in vitro plants but the SOD activity was maximum in samples in vivo plants of W1. Again the maximum CAT activity (288.15 ± 0.03) was observed in W1 ecotype whereas, a reverse result was obtained in case of GPX, the maximum activity (190.88 ± 0.07) was observed in in vitro raised plants of W2 ecotype (Table 2). Similarly in vitro raised W1 plants yielded more SOD (124.91 ± 0.42) than in vivo (115.21±0.24) and in vitro (103.12±0.43) of W2 plants. Isoenzyme patterns were studied by native-PAGE and specific activity staining was observed for CAT, SOD and GPX. In case of CAT, only one isoform (CAT 1) was obtained from all the samples under both in vivo and in vitro conditions. Finally it was observed that the intensity of bands was different in all the samples (Figure 1). In case of SOD, four bands (SOD 1, SOD 2, SOD 3 and SOD 4) were appeared in W1 plants whereas; one band (SOD 1) was disappeared from W2 ecotype both from in vivo and in vitro conditions. There were three isoforms of GPX was reported in both the ecotypes of in vivo and in vitro plant samples but the intensity of GPX bands were different in all the samples with a higher amount in in vitro plants (Figure 1). In vitro germination percentage was higher in both the ecotypes might be due to the supplementation of optimal nutrients in ½ strength MS medium. This could be due to the effect of various macro and microelements as well as the effect of sucrose, present in the artificial medium. Besides that the optimal conditions like light, temperature and humidity also can contribute for the enhancement of the process of seed germination, which was evidenced in the present work. The above observations agreed with the in vitro seed germination process carried out by different researchers under optimal condition (15, 16). In the natural habitat, the plant growth was livelier and synthesizes required quantities of primary as well as secondary metabolites. However, in artificial condition, with supplementation of optimal nutrients and standardized/controlled growth condition the plant may initiates the synthesis of different types of enzymatic and non-enzymatic antioxidants. Singh et al. (17) observed similar types of result with W. Somnifera that the protein content was on higher side from in vitro raised parts of the plant. 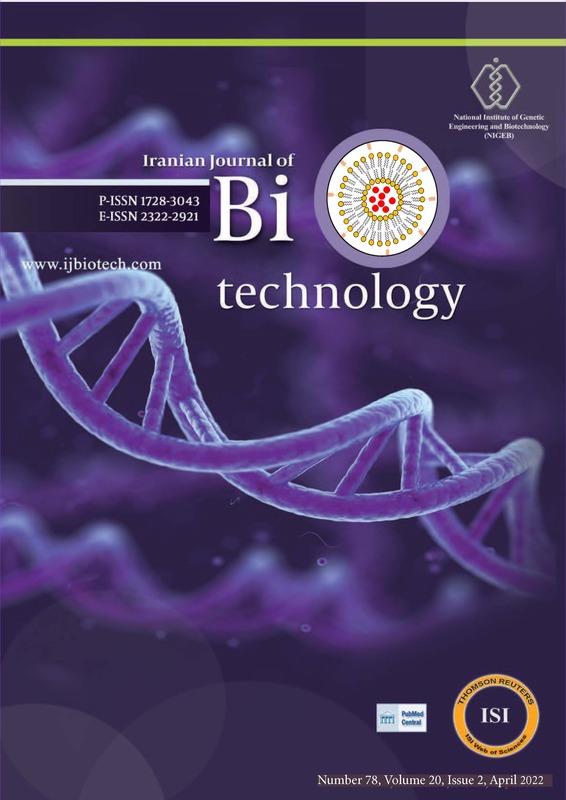 The above result indicates that in vitro grown plants are more suitable for experimental analysis.The enhancement of antioxidant enzyme activity in in vitro grown plants may be due to the supplementation of optimum nutritional element and controlled growth condition. The above findings are in accordance with the results obtained from Gardenia jasminoides (18)and Aloe barbadensis (19). This is the first report on comparative study of antioxidant activity from W. somnifera collected from two different localities. Natural antioxidants have been extensively studied for their capacity to protect organisms and cells from the damage of oxidative stress associated with aging, degenerative diseases, and cancer (20). The observed data indicates that the impact of climates and geographical distribution of the flora was also had a significant role with the synthesis of active principle and / or metabolite content of the plant. These findings provide knowledge to exploit the plant species to synthesize different amount of proteins and antioxidants directly related with their growing habitat. Implication for health policy/practice/research/medical education: This study has implication on antioxidant enzyme research. Author’s Contribution: Satyajit Kanungo had conducted and written the manuscript of the study. J.R. Rout had devoted his time in analysing the result of the study. Prof. S.L. Sahoo had revised the entire manuscript. Financial Disclosure: There is not any financial interest. Funding/Support: The authors are thankful to the Department of Science and Technology, Government of Odisha, India and UGC SAP-DRS-III programme for providing the financial support for this work. 1. Gupta GL, Rana AC. Withania somnifera (Ashwagandha) : a review. Pharma Rev. 2007;1(1):129-36. 3. Bhatia P, Rattan SIS, Cavallius J, Clark BFC. Withania somnifera (Ashwagandha)- a so-called rejuvenator inhibits growth and macromolecular synthesis of human cells. Med Sci Res. 1987;15:515-16. 5. Kanungo S, Nahak G, Sahoo SL, Sahu RK. Antioxidant Activity and phytochemical evaluation of Plumbago zeylanica Linn. in vivo and in vitro. Int J Pharm Pharm Sci. 2012;4 (Suppl. 4):522-26. 11. Das K, Samanta L, Chainy GBN. A modified spectrophotometric assay of superoxide dismutase using nitrite formation by superoxide radicals. Ind J Biochem Biophys. 2003;37:201-4. 13. Bergmeyer HU. Verlag Chemie; 1974. ISBN 9783527253708. 15. Buruni B, Sahin O. In vitro and in vivo germination of Cyclamen alpinum seeds. Turk J Bot. 2009;33:277-83. 16. Kanungo S, Sahoo SL. Direct organogenesis of Withania somnifera L. from apical bud. Int Res J Biotechnol. 2011;2 (3):58-61. 17. Singh S, Tanwer BS, Khan M. Callus induction and in vivo and in vitro comparative study of primary metabolites of Withania Somnifera. Adv Appl Sci Res. 2011;2 (3):47-52. 18. Sayd SS, Taie HAA, Taha LS. Micropropagation, antioxidant activity, total phenolics and flavonoids content of Gardenia jasminoides Ellis as affected by growth regulators. Int J Academic Res. 2010;2:184-91.